For, January~Music by the lively young fiddlers of SEATTLE LILA SPELMANSLAG and the TUNE SISTERS, two of Seattle's top fiddlers. 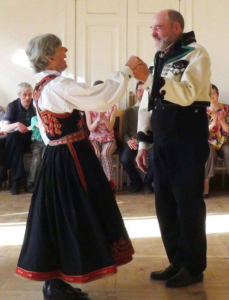 Learn or review Rattvikspolska, a Swedish turning dance with Jerry Walsh and Judy Patterson. 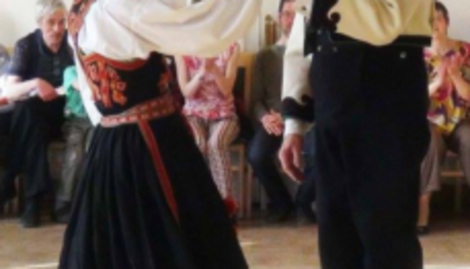 Class at 7 p.m. Dance at 8 p.m. Other dances include waltz, schottische, hambo and more. Easy mixers are taught throughout the evening. Musicians and groups change monthly. Check the Facebook page for Norden Lodge #2 Sons of Norway for monthly details. Price: $10 adults, $7 Sons of Norway members ($10 Sons couples). $5 Non-dancers. Students free. $10 adults, $7 Sons of Norway members ($10 Sons couples). $5 Non-dancers. Students free.